Looking For A Carpet Cleaning Company You can Trust? Then look no further! Chances are, if we haven’t already cleaned your carpet, we’ve cleaned your neighbors’ carpet! Just like your neighbor, all of us (at one time or another) have thumbed through the yellow pages looking for a locally owned company to perform a service in our home. We are all looking for someone we can trust. STEAMEX is owned and operated by Rylan Herring. An Auburn resident since the ’70’s, he has been cleaning carpet for almost 25 years. 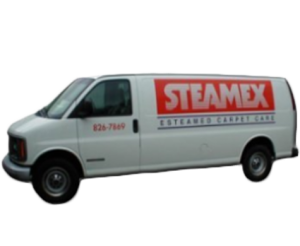 You may recognize the STEAMEX name as sponsors of Dixie Youth baseball and soccer teams, providing services to the Lee County Red Cross, or just passing Rylan in the halls of your children’s schools. Now, Rylan performs all the work himself . . . cleaning homes to remove sippy-cup drips and muddy paw prints (a service he often performs in his own home!). He listens to your concerns and strives to exceed your needs with the desire to have you call us back year after year. His experience and personal service provide you with the best care for you and your possessions and is the highest quality service available! We don’t just say we guarantee our work – we stand behind it 100%! We’ve built our business on our good reputation, so our name is our work. We always want you to be completely satisfied; if you’re not happy with what we’ve cleaned, we sincerely WANT the opportunity to clean it again. All you need to do is call us to let us know there is a problem. After all, we can’t fix problem areas or resurfacing stains if we don’t know about them. We’ll schedule a convenient appointment time to have us return for a second cleaning. Depending upon the situation, we may even need to come back a third time! No matter how many times we come back, there’s never a charge for a repeat cleaning If you’re still not pleased with our work, we’ll refund your money. Where can you beat that kind of a guarantee? That’s why trying our service is completely risk-free! Your furniture and area rugs are as important to a room’s appearance as your carpet. That’s why we use the same basic process for cleaning upholstery and rugs that we do for carpets. We just “tone down” our method a bit for these more delicate items. 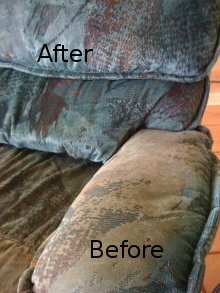 Upholstery an Area RugsRylan has been especially trained in the care of all fabric types, so you can feel comfortable in knowing he’ll choose the proper upholstery cleaning solution for your furniture. And using specially designed tools to gently clean folds and crevices, he will ensure the entire piece is entirely clean. And he won’t soak your furniture – you’ll be lounging on clean, fresh-smelling furniture in just a couple of hours. When it comes to area rugs, Rylan carefully inspects each rug to determine the best cleaning method needed to avoid rug shrinkage, wrinkling, and color bleeding/fading. His care and attention to detail will pamper your rugs and make them look outstanding! No need to roll up your rug and lug it to some remote cleaning facility! Rylan cleans most rugs right in place! 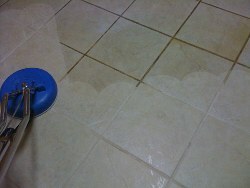 Tile and Groutin your grout lines that simple mopping cannot remove. These high-traffic areas in your home deserve just as much attention as your carpet! STEAMEX can restore the beauty and elegance to your ceramic and porcelain tile surfaces: countertops, floors, tubs, showers, and much more! We begin with a non-acid cleaning solution and follow up with a high-pressure, hot water neutralizing rinse within a fully-enclosed vacuum system. With up to 1200psi of water pressure and 240 degrees of heat, we’ll blast away the contaminants from your tile and have it looking new again. Making the tile look good is the easy part – the grout is a bit harder. We never bleach your grout to hide or disguise hard-to-remove soil. The high pressure and powerful suction of our tile cleaning system will remove the dirt and grime from your grout, bringing it back to near its original color. Have your tile cleaned annually so you can enjoy its everlasting beauty. Call for a free estimate today!